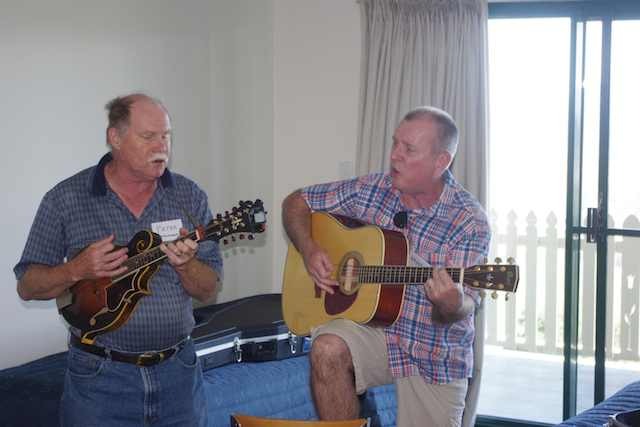 As the rain clouds converged on Queensland’s south-east this weekend, a group of bluegrass musicians travelling by plane, train and car to converged on the mountain tourist town of Maleny for the 10th Australian Bluegrass Conference. The venue for the 2018 conference is ironically named Tranquil Park Resort. It is nestled into the side of hills overlooking the famous glass house mountains some 20 kilometres inland from Caloundra on the Sunshine Coast. This year’s event was not marred by the endless rain of the weekend or the almost continuous cloud cover over the mountains, but buoyed by the enthusiasm and verve of an awaiting faculty and some 60 plus students. The notion a bluegrass conference is not one that is easily explained to the uninitiated. In short it is the ultimate in personal bluegrass music development, allowing musicians to bathe in the overwhelming music, professional tuition, endless jamming and vital networking. It is the brainchild of Bellbird Banjo proprietor and luthier Peter Nahuysen of Brisbane. 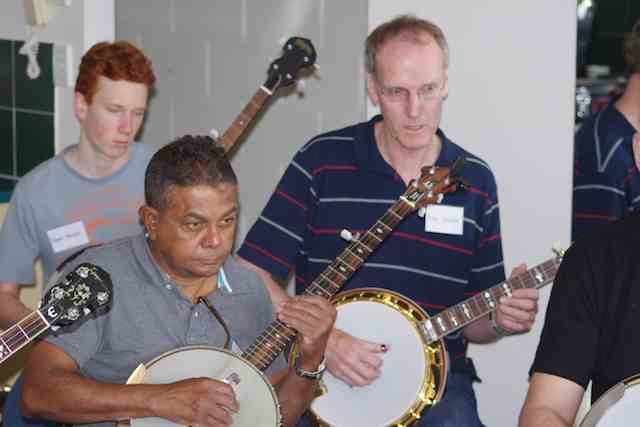 Some ten years ago now Peter saw the need to offer high level tuition to – initially – banjo players in Australia. Through evolution and demand, the mostly annual event has become a national celebration of all things bluegrass and features high quality tuition for not only banjos players but now includes mandolin, guitar, fiddle and double bass. In terms of tuition this conference offers Australian bluegrass musicians the greatest opportunity to get along side and develop their craft through four days of intimate teaching contact with professional bluegrass musicians from not only Australia but from the USA, the origins of the music genre. This years conference featured a faculty of high quality musicians and performers from Australia and the USA. The feature bands for this year included Mustered Courage from Melbourne, The Sonoran Dogs from Arizona, USA. Each of the band members also undertook to deliver workshops during the conference. *Bruce is a Melbourne boy often recruited to play bass by local and international bands. Other individual tutors for the conference included Russ Carson, current banjo player with Ricks Skaggs and Kentucky Thunder, Russ’s father Glenn Carson and seasoned fiddle and old-timey banjo player. 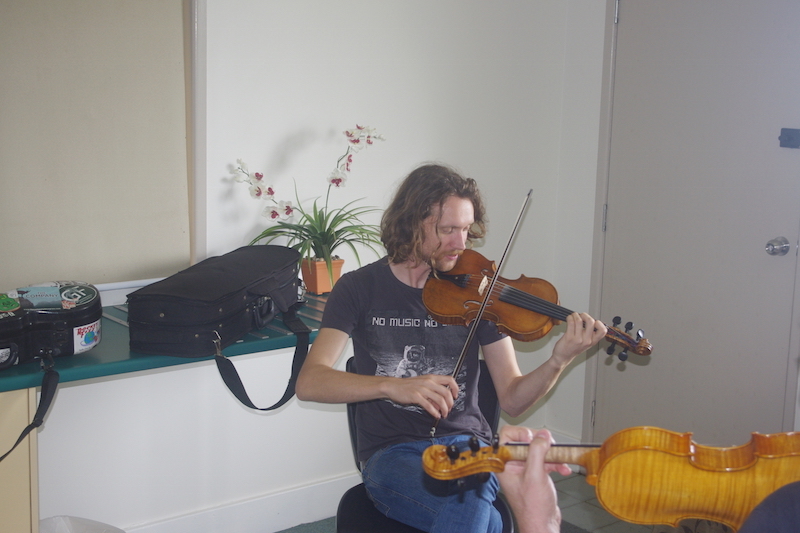 Peter Nahuysen and his twin brother Mark were also part of the teaching staff as well as Peter’s daughter Anita Nahuysen, a very competent old-time banjo player and excellent teacher and Brisbane banjo and fiddle master Gary Vann. The weekend included 50 one-hour workshops/tutorials over the four days with class sizes limited to around six students in each of the one hour teaching sessions to ensure a level of intimacy and inclusiveness with instructors. Thursday and Friday nights featured concerts from the teaching faculty. The Sonoran Dogs, Mustered Courage The Nahuysen Brothers band and Russ and Glenn Carson. The quality of musicianship in each of the concerts left little doubt as the the musicianship of the teaching staff for the weekend to come. I have been to every bluegrass conference and I think this one has been the best yet. Peter (Nahuysen) never fails to bring the best of talent. To see and hear Russ Carson as well as the Sonoran Dogs has been fantastic – Greg Dunn. As a frequent attendee to these events I can attest to the value of the four days to not just beginners but intermediate to advanced players of each bluegrass instrument. The artists’ personal anecdotes were also mesmerizing. Just listening to Russ Carson recount his experiences with Ricky Skaggs’s band Kentucky Thunder and his amazing ordeal leading up to his audition and eventual recruitment into the band left me in awe of this young man’s ability, determination and tenacity. The two masterclasses gave us an insight into the inner workings, structure and discipline of a professional bluegrass band. 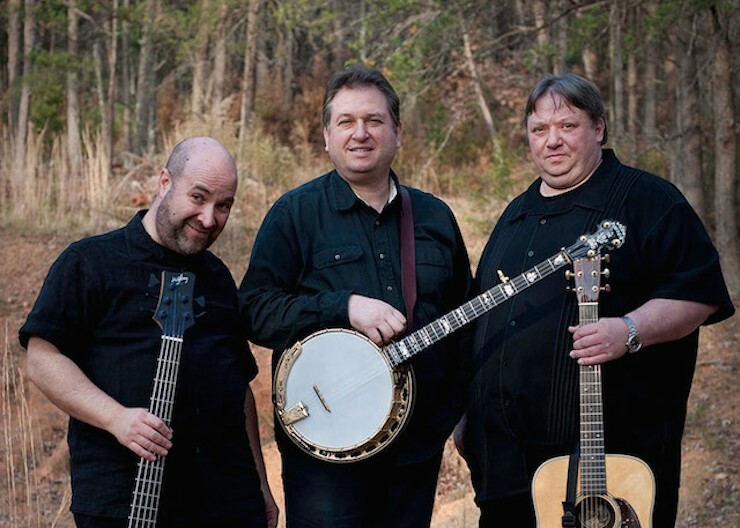 While Mustered Courage recounted their eventual gravitation into bluegrass music having dabbled with jazz, hip hop and grunge ending the session with a demonstration of their highly disciplined approach to bluegrass harmony singing. 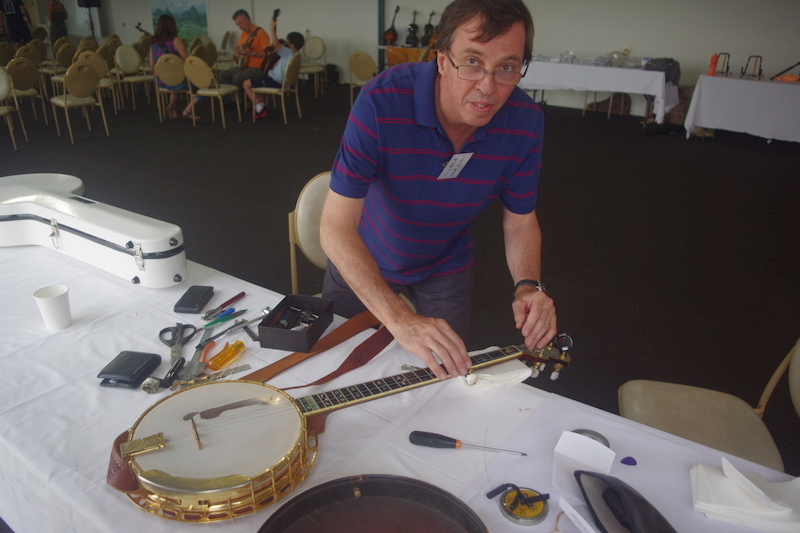 Regardless of your own level of competence with your instrument/s, you will be guaranteed to benefit from the next Australian Bluegrass Conference to be held at Tranquil Park in Maleny on Queensland’s Sunshine Coast from 12th to 15th December 2019. This has been a wonderful weekend and a great opportunity to catch up with friends and meet new people. The instruction has been really first-rate. While they are only one hours sessions there is so much packed in there and instructor have been happy have us record stuff to take home and apply later. A really wonderful weekend – Dave Hart. I think it’s a weekend like no other. Great venue, great company and well worth coming to. It’s the highlight of the year for me. If you’re wondering if you are good enough to come or it sounds to frightening then you should come. You’ll feel included, you won’t regret it and you’ll have a great time – Therese Marty. I love coming to the Bluegrass Conference in Maleny, the atmosphere is amazing, the venue is fabulous. We are ups in the mountains learning so much and jamming with people from around Australia and America, it has truly been a fantastic experience – Taylor Pfeiffer. 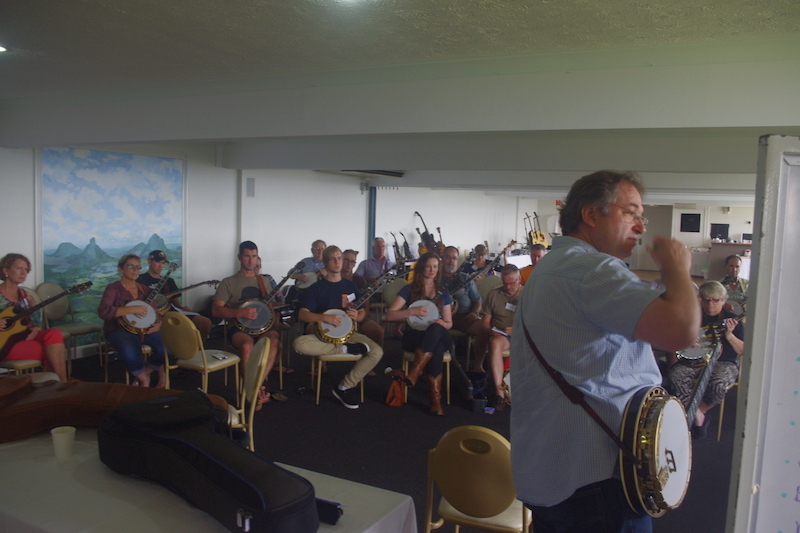 The highlight for me was the expert banjo pickers who were so gracious in sharing their wealth of knowledge and giving us tips that perhaps in any other industry would be considered trade secrets – Paul Mills. I have really enjoyed learning the basics from the experts. How to strum, how to build chords and all of the theory has been a great help – Errold Bryant. The highlight of the weekend has been seeing so many young musicians so passionate about bluegrass music learning and honing their skills on the spot as we teach. There aren’t enough of these events in Australia. It has meant a lot for us to be able to dig deeper into what we do and how we play our music – Julian Abrahams, Mustered Courage. The Australian Bluegrass Conference has been one of the most positive musical experiences of my career. One of the best four days I have ever had. I have enjoyed, the (teaching) staff, the (conference) attendees, there has been such a tremendous outpouring of camaraderie. It has been wonderful to see people just so hungry to learn and to see their passion for the music – Russ Carson. 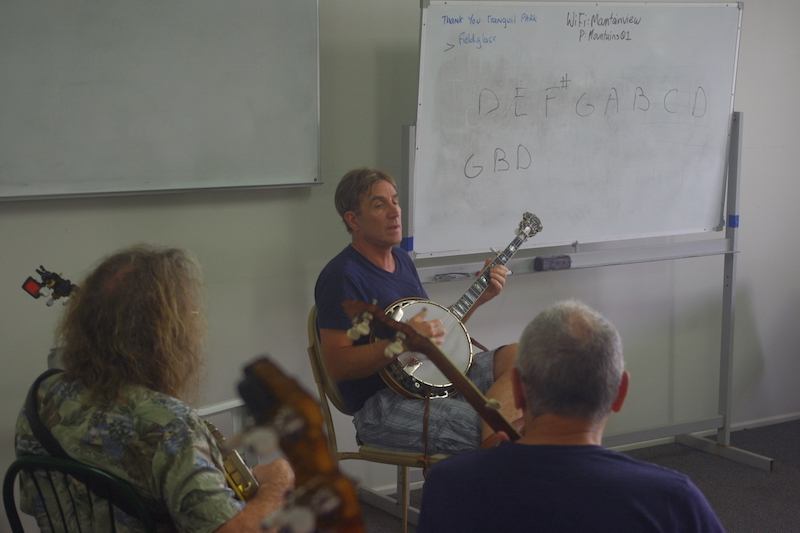 I am always delighted and surprised with the level of musicianship here in Australia when we come to teach at the Australian Bluegrass Conference. I find it just as enlightening for me as I get to learn from the students as well – Peter McLaughlin. I have enjoyed the hospitality of the Nahyusen family and how welcoming all of the artists have been. I am all grateful that they have been so encouraging to my daughter Amy. For her to be able to get up and play with musicians of that calibre at such a young age (nine years old) has been something quite special – Andrew Ryan. Mark it in your calendars for next year – Australian Bluegrass Conference 12th to 15th December 2019. The Australian Bluegrass Conference has welcomed Mustered Courage to the faculty for 2018. ARIA nominated Mustered Courage breathe new life into the Australian roots music scene with a diverse sound that appeals to both traditionalists and newcomers alike. Since the release of their self-titled debut album in 2011, the Melbourne based outfit have become the torch bearers for string band music here in Australia. the link between Bill Monroe and Mumford & Sons – Music Australia Guide. The progressive folk-rock quintet blasted on to the national music scene when their second album, Powerlines, garnered two Golden Guitar nominations and a live performance at the 2014 CMAA Country Music Awards in Tamworth. This led to a collaboration with Kasey Chambers on the song Rosa which was included on the album’s American release. This year’s 4-day Bluegrass Conference will feature two fantastic bands, as well of course as special guest Russ and Glenn Carson from the USA. Conference organiser Peter Nahyusen has advised us that bookings are going strong. If you plan to attend this year, make sure you get in touch as soon as you can. The organisers of the Australian Bluegrass Conference are currently securing the faculty for the 2018 conference. 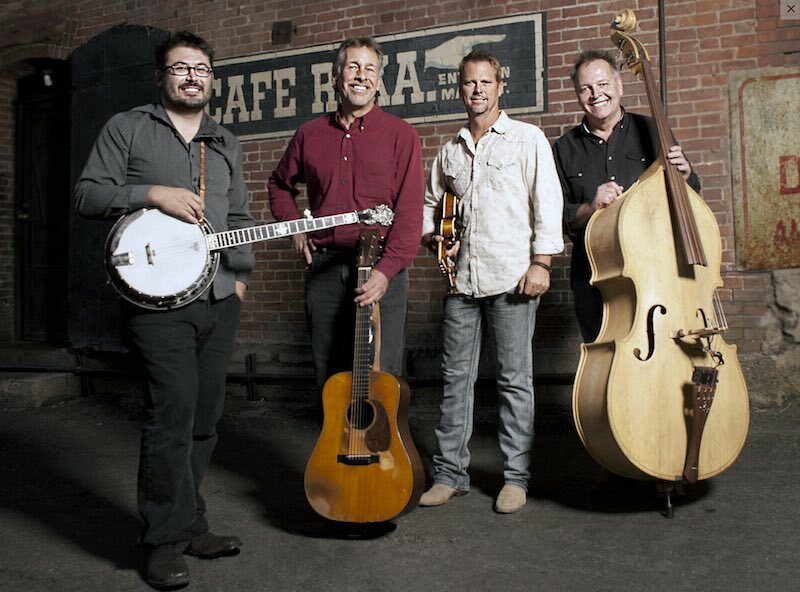 To date they have secured American/Aussie bluegrass band The Sonoran Dogs featuring Mark Miracle, Peter McLaughlin, Tyler James and Bruce Packard. There are another 6-8 names of players in the mix who have yet to have been able to commit, but rest assured I will have a crackerjack line up of Australian and International players in attendance – Peter Nahuysen conference convener. The venue will be Tranquil Park Resort in Maleny on the Sunshine Coast hinterland. Please feel free to register your expression of interest in this event by emailing Peter. As folks across the country gear up for the next Bluegrass Conference to be held at Tranquil Park Maleny in South East Queensland we have a few updates on this year’s event. Place: Tranquil Park Resort, Maleny, Qld., Australia. 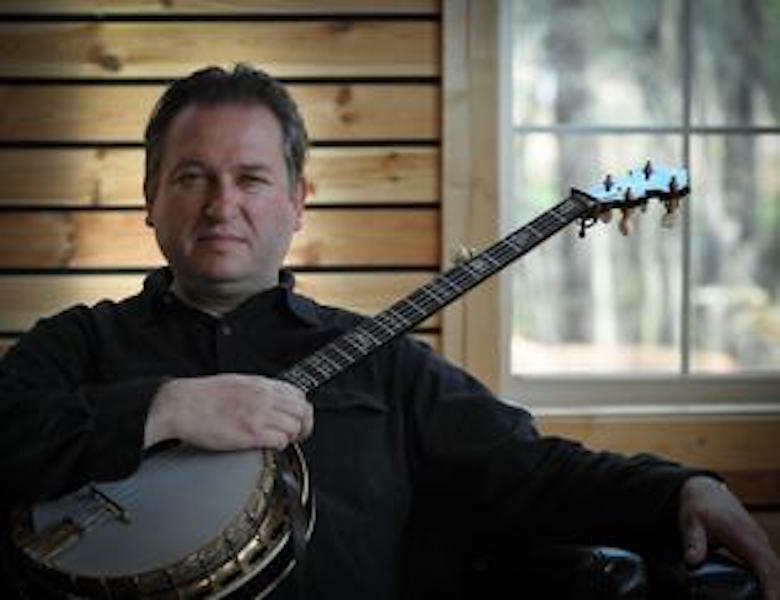 For those who might not have heard the news, banjo virtuoso Jens Kruger is our special return guest this year. Jens has said he is really looking forward to meeting old friends and new. Jens will augment the already stunning camp faculty, including Arizona bluegrass band, The Sonoran Dogs, and Australia’s own music legends, The Company. The Sonoran Dogs bring camp favourites Mark Miracle (mandolin) and Peter McLaughlin (guitar) back to our shores, along with their amazing banjo player, Tyler James. And as a special guest – the talented Bruce Packard (Coolgrass) will join the boys on bass, both in concerts and at the conference. Other special guests will be featured over the course of the weekend conference and concerts. As always, beginners are most welcome, and the camp atmosphere is friendly and inspirational. This is an amazing opportunity to get up close and personal with some of the world’s best bluegrass musicians. Please note that bookings for this event are essential. Numbers are limited, so to avoid disappointment, please book and pay conference fees as soon as possible, to reserve your spot. If you have already booked, the balance of you fees are now due. Please note that as with any event, paid up attendees will take priority over unpaid expressions of interest. 3 nights accommodation at the fully licensed Tranquil Park Resort. Fri. Dec 2nd, 7:30PM – Bray Park – Genesis Christian College Auditorium. 12-16 Youngs Crossing Rd, Bray Park, Qld. Sun, Dec 4th, 7:30PM – Samford – Samford Community Centre, School Rd, Samford, Qld. The Australian Bluegrass Conference is designed as a high-powered, fun-filled long weekend of bluegrass instrument and music instruction. It is the perfect place for jamming and networking and caters for players of all skill levels. Fast track your playing to new heights and get more fun out of playing than you even thought was possible. The Conference runs over 4 days with 12 instructors in total. The event features some of the finest players from both Australia and the USA. There are 55 spaces available. The conference is scheduled for 8th Dec. through to 11th Dec.
Book now for this unforgettable music experience. Hear some of the finest bluegrass musicians from both Australia and the USA as they play and teach exclusively for you in relaxed and intimate surroundings. This is one of the premier events on the Australian bluegrass music calendar. Intensive instruction in 5 String Banjo Guitar, Mandolin, Fiddle and Bass. From midday, Thursday 8th December to 2:00pm, Sunday 11th December. Venue is Tranquil Park Resort, located near Maleny in the Sunshine Coast Hinterland just north of Brisbane. Check-in will be after 12:00pm on the Thursday, and wrap up Sunday afternoon at 2:00pm. All rooms have ensuites and are either 2, 3 or 4 share. Q1. How do I register and pay? You can speak to him about the conference details and arrange a direct deposit payment, or send a cheque payable to Peter Nahuysen to: PO Box 505 Aspley Qld 4034. ALternativelty you can call Peter on 0416 113 496 to discuss options. Q2(a). Can I bring a partner? A. Yes but space will be limited to 5 due to the small number of double rooms available. First in bookings will have priority for these partner spots. Q2(b). If I bring my partner, how much will it cost for them? A. Because they are not receiving instruction it will be $650.00. Q3 If I come by myself will I be sharing a room with others? A. Yes. Just like any Bluegrass Festival or Conference, to keep costs down for everyone we must dorm share the available rooms. However the maximum is only 4 per room with a number of 3 and 2 share, and they are very comfortable. Q4. If I land at Brisbane Airport will there be transport to get to the camp? A. To assist any Interstate attendees, we will be offering lifts from the airport to Tranquil Park on the Thursday departing between 9:00 and 11.00 am and returning to the Airport departing the camp site at around 2.00 pm on the Sunday. Let us know if you require transport when you book. After a year off in 2015 organisers have announced details of the Banjo and Bluegrass Conference for 2016. As previously done, the conference is 3 full days in length, with 12 instructors in total, and special guest players from the USA. There are 55 spaces available although many are already selling. 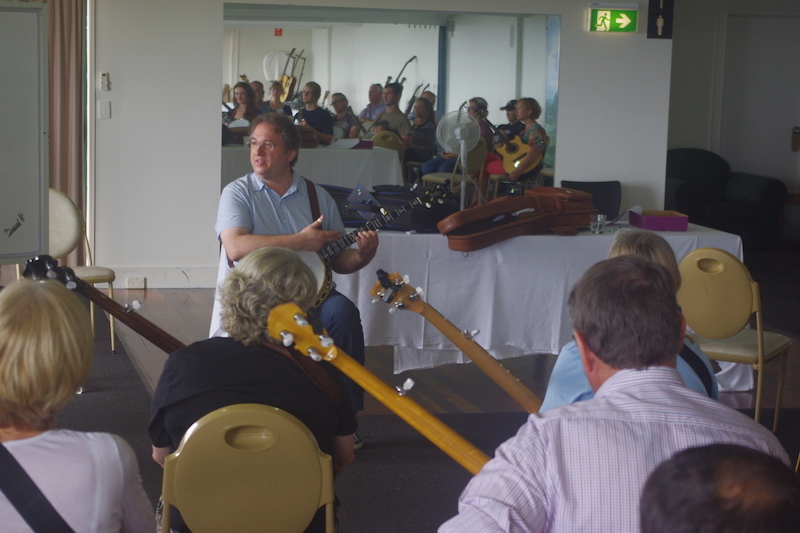 The Australian Bluegrass Conference is designed as a high-powered, fun filled long weekend of bluegrass instrument and music instruction. It is the perfect place for jamming and networking and caters for players of all skill levels. Fast track your playing to new heights and get more fun out of playing than you even thought was possible. Hear some of the finest bluegrass musicians from both Australia and the USA as they both play and teach exclusively for you in relaxed and up close surroundings. This is one of the premier events on the music calendar. Intensive instruction in 5 String Banjo Guitar, Mandolin, Fiddle and Bass. Venue: Tranquil Park Resort Located near Maleny in the Sunshine Coast Hinterland just north of Brisbane. From the USA, The Sonoran Dogs featuring Mark Miracle, Peter Mclaughlin and Tyler James. Also Martin Louis, Bruce Packard, Michael Patrick, Jamie Clarke, Markus Karlsen, and more. Download the registration form now and send it to Peter Nahuysen via email or post to: Australian Banjo Conference Convenor, 30 Alexis St, Aspley. Q 4034. After an incredible concert Friday night at the Maleny Town Hall, Saturday started at around 7:30am with another breakfast offering of bacon, eggs, hash browns, savoury mince, sausages, fruit, yoghurt, toast, coffee tea and juice. The catering and support at Tranquil Park has been nothing less than incredible. What a fantastic team of people. The morning of day 3 consisted of more of the same with masterclasses, workshops and demonstrations by Ross Nickerson, Jens Kruger, Mark Miracle, Uwe Kruger, Quentin Fraser and Joel Landsberg. By this time people were rising to the many challenged thrown out by the conference faculty and discussion around the breaks and meal times were focussed on the inspiration provided by the days teachings. The afternoon session gave us all an opportunity to listen first hand to one of the worlds most amazing music trio talk about their early lives as emerging musicians, their discovery of and inspiration from rock, blues, bluegrass and other forms of music, and the influences of those early music forms on their own music. It was a very moving and inspirational presentation listening to Jens and Uwe reflect on the early memories of their childhood and homeland. Joel Landsberg sat between them offering support musically, emotionally and with just as many stories of the Kruger’s history, like a third brother. By mid afternoon the conference broke up to provide an opportunity for students to move off and rehearse for the evening’s in-house concert. This is a showcase of what they’ve learned and presented before a very supportive group of their peers and the conference faculty over the course of the evening. Throughout the day Chris Melville of Melville Guitars, gave of his time to personally inspect our instruments, make small adjustments and offer advice of major changes as requested. His attention to detail and some 28 years of experience in building, repairing and setting up instruments was an immense benefit to many of the musicians gathered for the weekend. Dinner time – more food. The evening concert begins. Students take to the stage some bathed in fright, others quietly confident and composed. Through out the evening the camaraderie continues to build as students encourage each other both on and off the stage. A fitting finale to the weekends intense training programs, ongoing challenges and many demonstrations. The Australian Banjo and Bluegrass Conference has developed a winning formula. 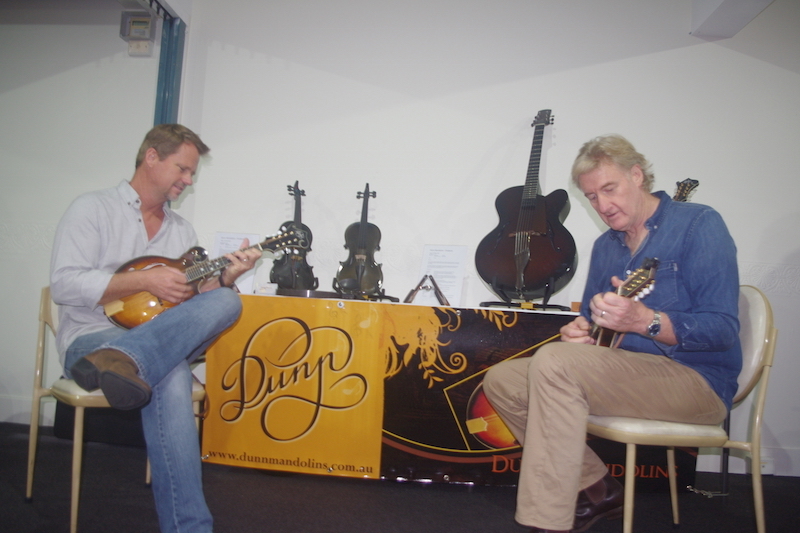 The efforts Peter Nahuysen of Bellbird Banjos and his brother Mark has delivered yet another great conference aimed at fast tracking development opportunities for bluegrass musicians across Australasia. Maleny is a popular tourist spot atop the mountain range some 20klm inland from costal city of Caloundra. Caloundra is the southern most coastal city on Queensland’s beautiful Sunshine Coast which boasts of a laid-back lifestyle centred around pristine beaches, freshwater rivers, lakes, subtropical forests and warm sunshine. 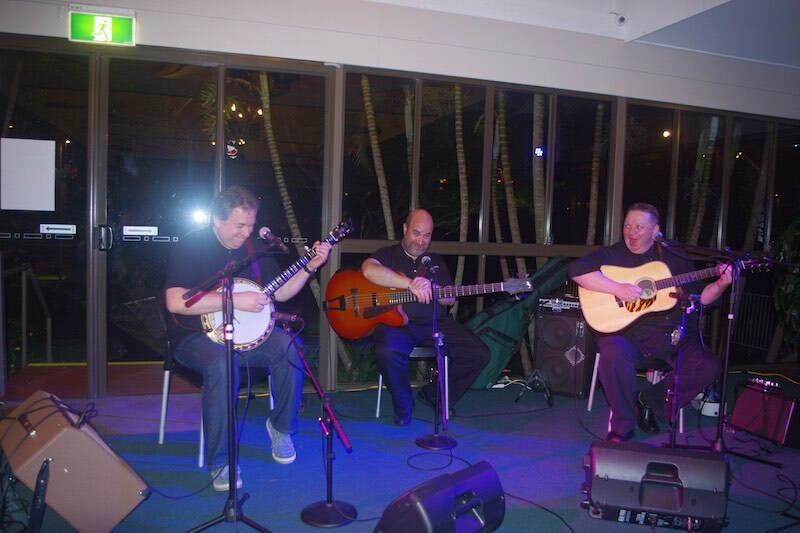 Maleny’s Tranquil Park Resort, overlooking the Glasshouse Mountains, played host to the opening of the 7th Australian Banjo & Bluegrass Conference – although it could rightly be named an “Australasian” conference with regular attendees arriving from New Zealand each year. 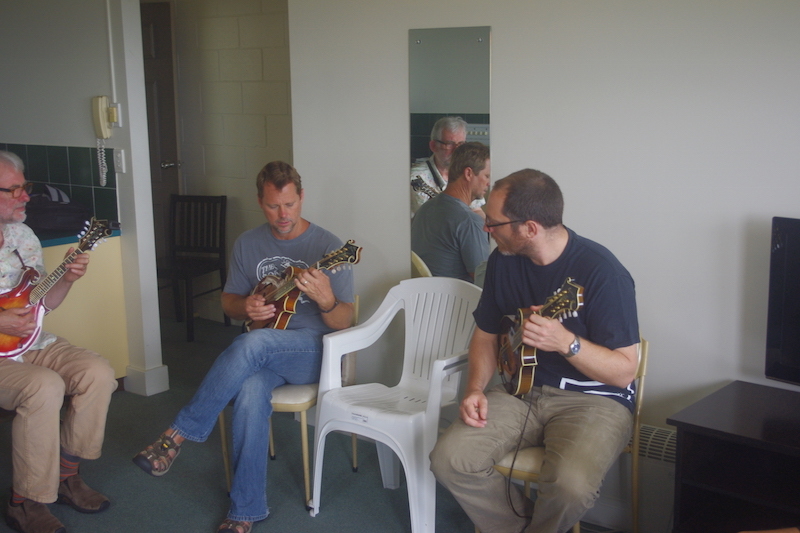 The now annual conference is an initiative of Bellbird Banjos which kicked off in 2009 by Peter Nahuysen and his brother Mark. This year’s event sees a collective of almost 90 people gathered in Maleny. They will attend workshops and masterclasses delivered by sixteen instructors, five of whom have come from the USA. Last year’s conference featured Jens Kruger on banjo who, so taken with Australia and the conference, promised to return this year with his band The Kruger Brothers. The conference opened last night with a warm welcome and general program introduction for the weekend from Peter Nahyusen. Peter gave a huge and enthusiastic welcome to the international guests Mark Miracle, Ross Nickerson and Kruger Brothers’ Jens Kruger, Uwe Kruger and Joel Landsberg. Last night’s opening concert featured The Nahyusen Brothers on banjo and guitar with Mark Miracle on mandolin and Peter’s daughter Anita Nahuysen on double bass. Ross Nickerson followed solo on banjo and then the Kruger Brothers who closed the night leaving the many inspired musicians in the audience to jam on into the night. A fitting start to a weekend of bluegrass music in the mountains of the Sunshine Coast.